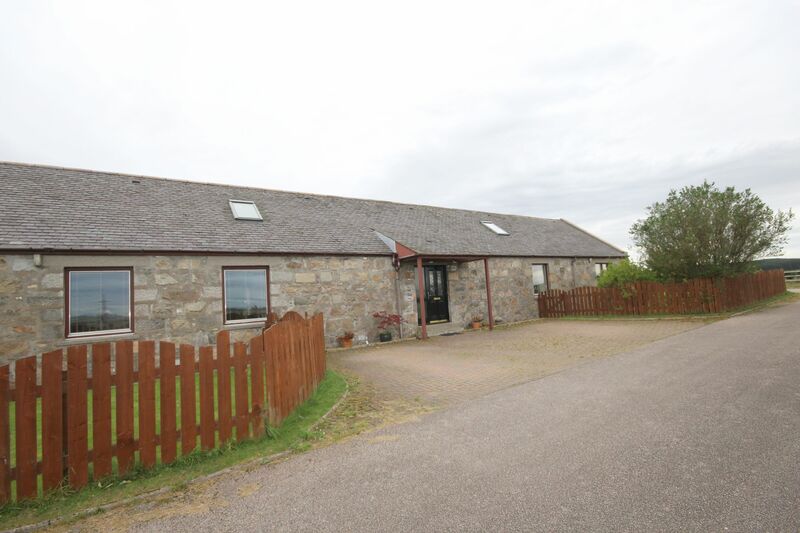 4 Bdrm Semi-detached Dwellhouse (converted steading). V/bule. Hall. Cloakrm with wc. Lounge. 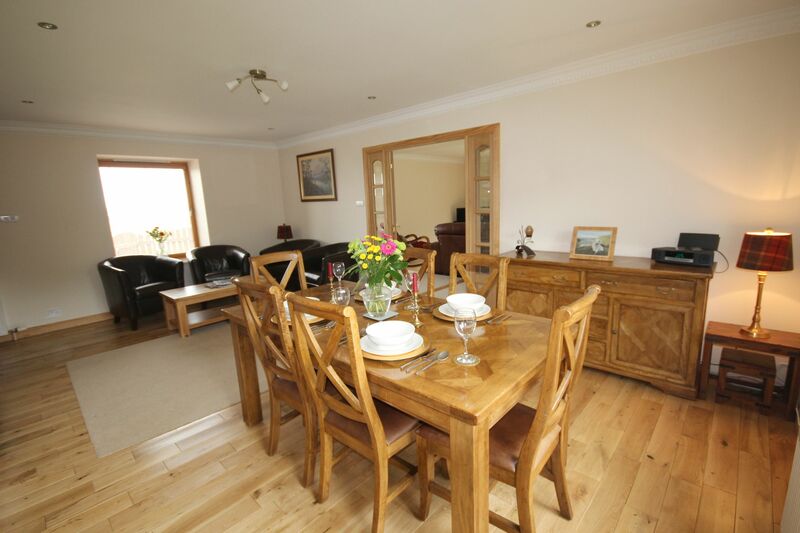 Family rm/Dining area. Kitch. Utility rm. 4 Bdrms. 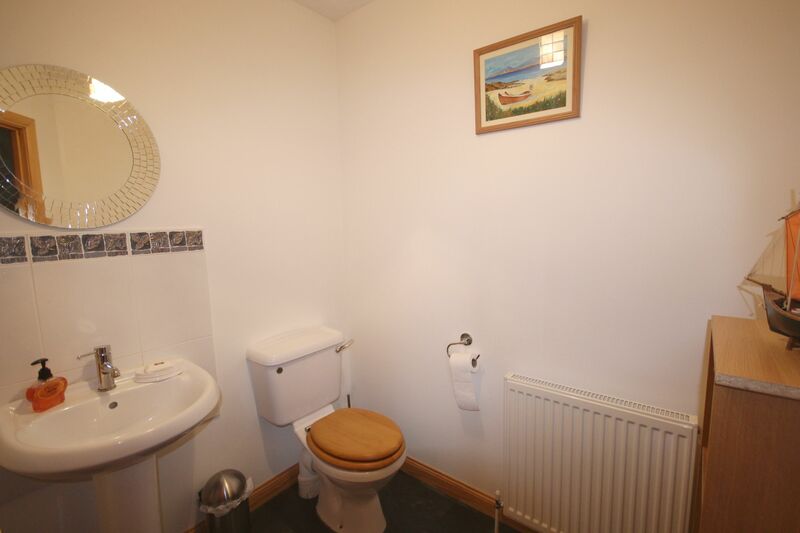 1 with ensuite. Bathrm (CT band - G). Garden. Double Garage. Parking. Price over £455,000 Entry by arr. 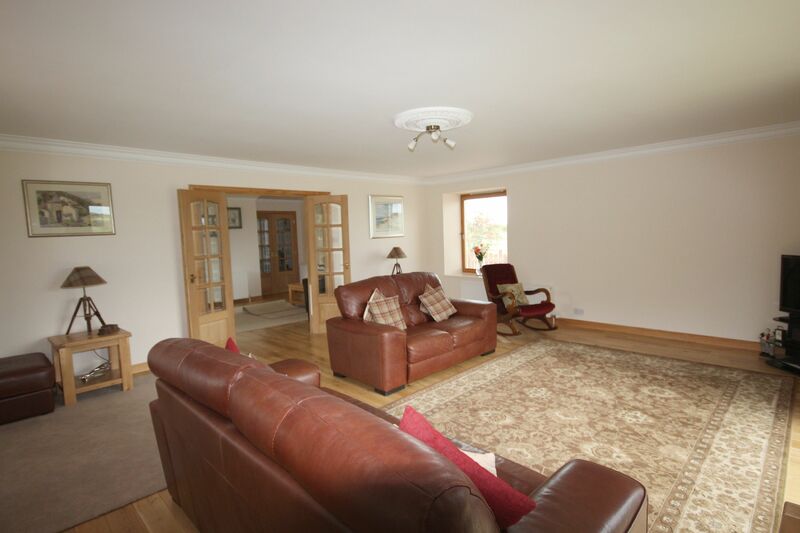 Viewing Mr Scobbie 01330 860075 / 07816 630624 or contact solicitors. (EPC band - D). 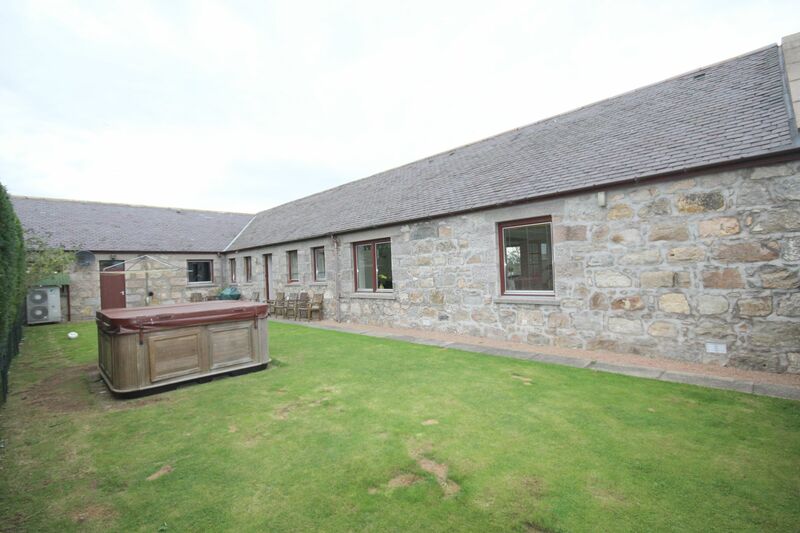 Situated within a rural location in the small Hamlet of Leylodge, close to the village of Kintore, we offer for sale this 4 bedroom converted Steading with double garage which was originally converted by local builder Malcolm Allan. 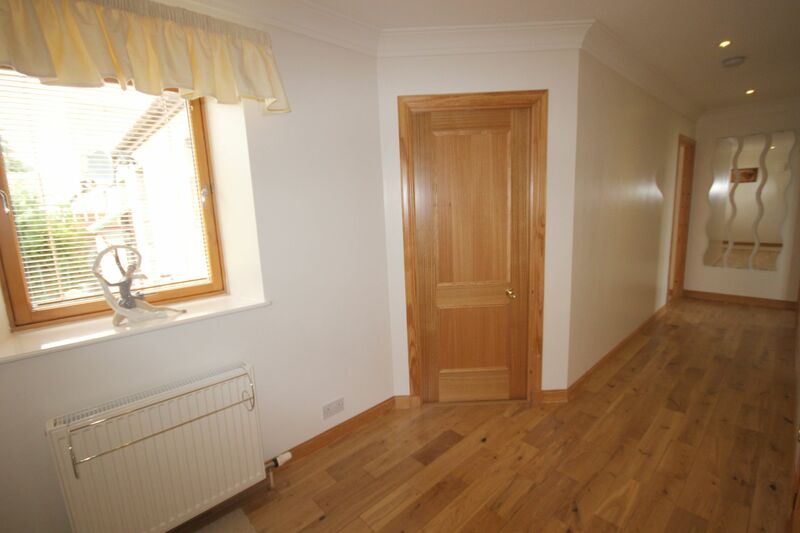 The property is finished to a high standard with coved ceilings, oak effect doors, skirtings and solid oak flooring. 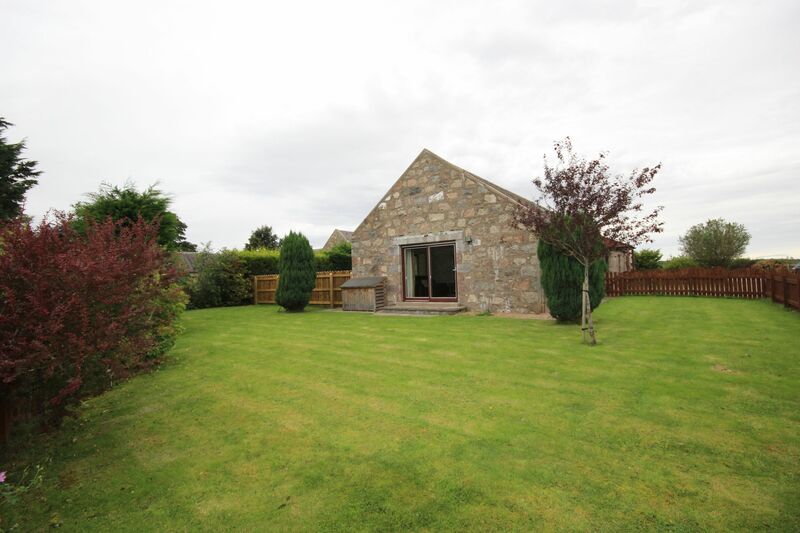 The property is within commuting distance of Aberdeen City, Bridge of Don, Dyce and Aberdeen Airport. 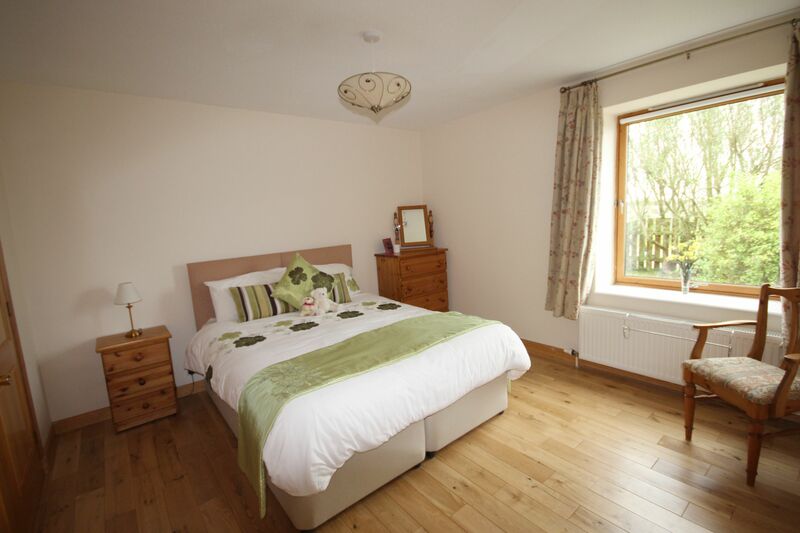 The property benefits from double glazing, oil central heating and Air Source Heat Pump. 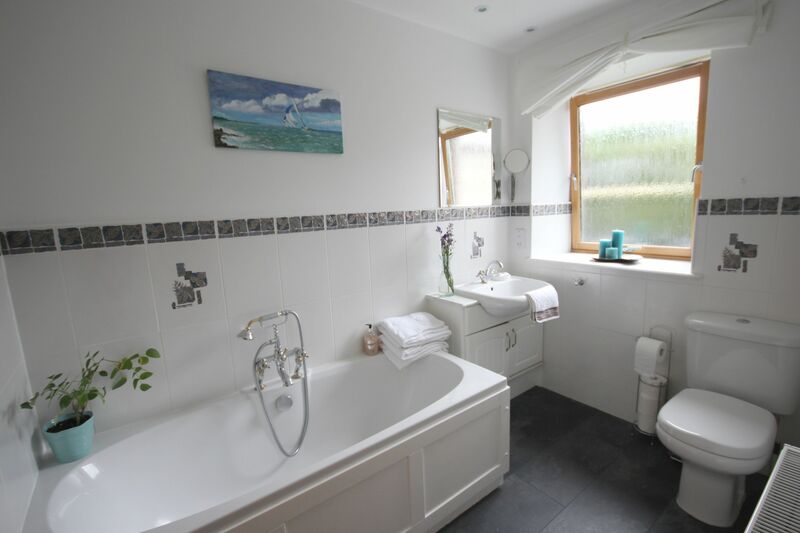 Accommodation comprises lounge, family room/dining area & kitchen on open plan, utility room, 4 bedrooms, 1 en-suite, family bathroom and cloakroom. Garden grounds to front side and rear. Please note the hot tub is included, although no guarantees can be given regarding the same. 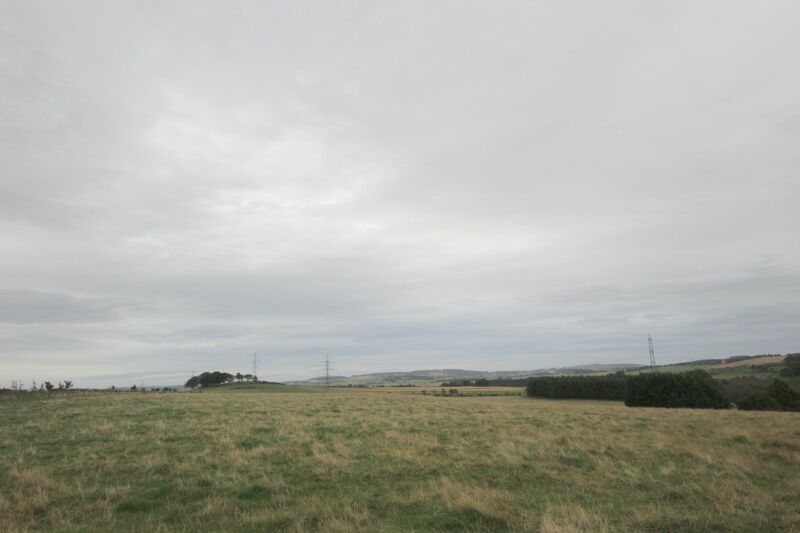 Panoramic country views. Viewing highly recommended. 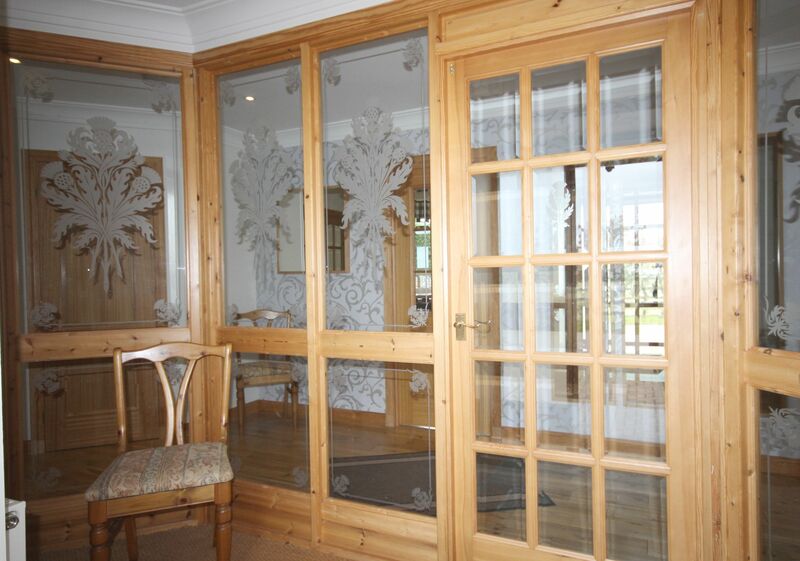 Vestibule : Entrance vestibule with decorative glass door and panels leading to the inner hallway. 2 storage cupboards. Matted flooring. 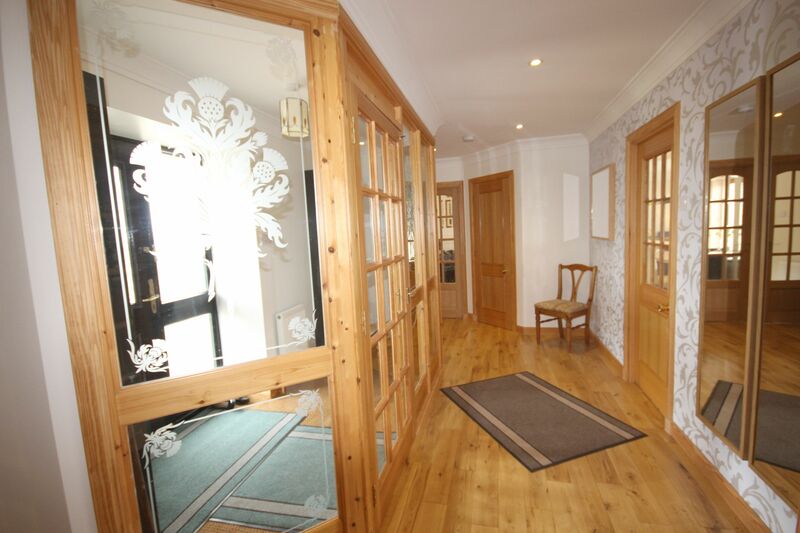 Inner hallways leading to both living areas and bedrooms, featuring 2 storage cupboards and French doors leading to family area and door leading to kitchen. 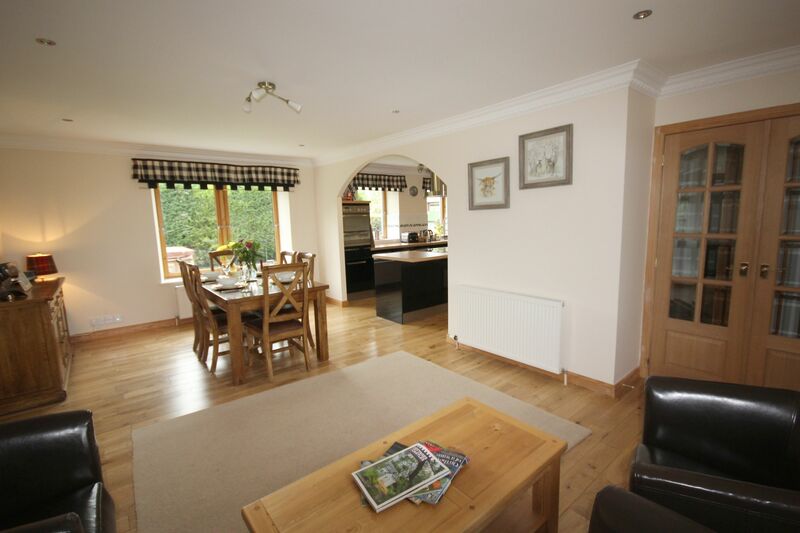 Solid oak flooring and central heating radiators. Cloakroom : 6' 3" x 5' 7" (1.92m x 1.73m) The cloakroom is fitted with a two piece white suite comprising WC and wash hand basin. Laminate tile effect flooring and central heating radiator. Lounge : 20' 7" x 18' 7" (6.29m x 5.68m) The lounge has two windows to either side of the property with patio doors leading to the side garden. French doors lead into the family room/dining area. TV and Sky point. 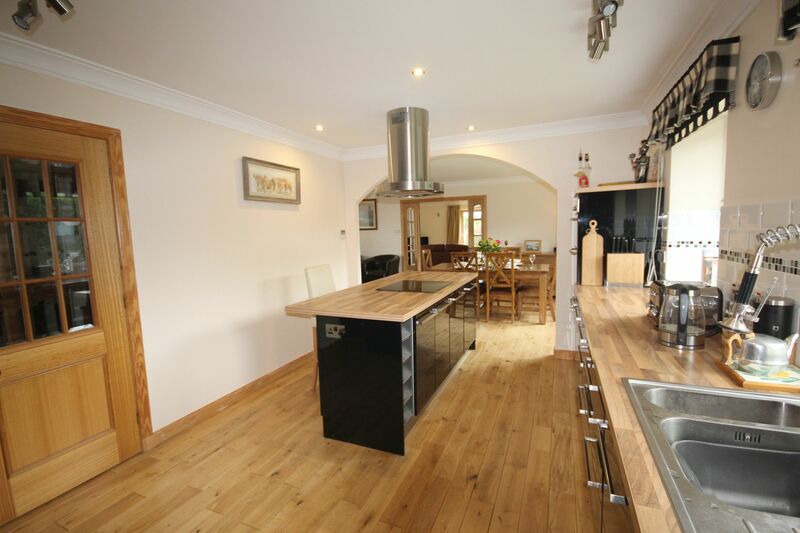 Solid oak flooring and 2 central heating radiators. 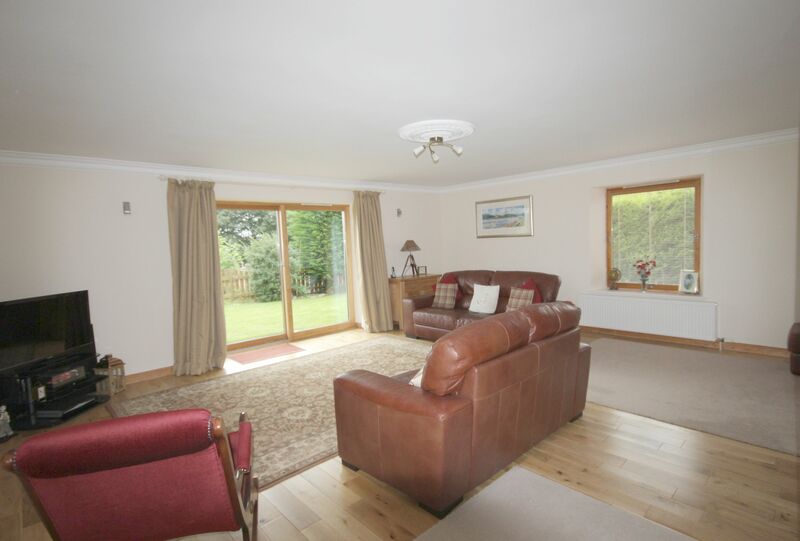 Family Room/Dining Area : 20' 7 " x 12' 4" (6.29m x 3.77m) The family room/dining area is on open plan with arch way leading to the kitchen. Two widows providing natural light and French doors leading to the hallway. Ample space for dining table and chairs, also free standing furniture. Solid oak flooring and central heating radiator. 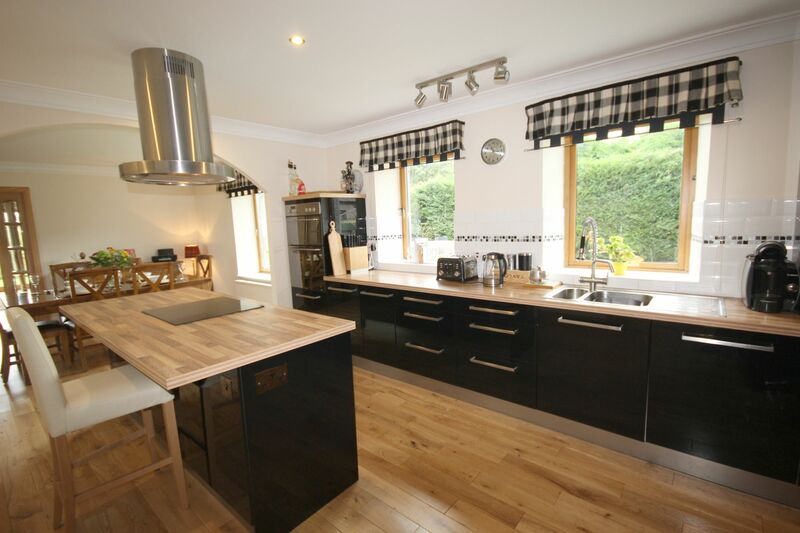 Kitchen : 14' 9" x 10' 7" (4.53m x 3.25m) The kitchen is fitted with a range of base and eye level black high gloss units with wood effect worktops and stainless steel sink. 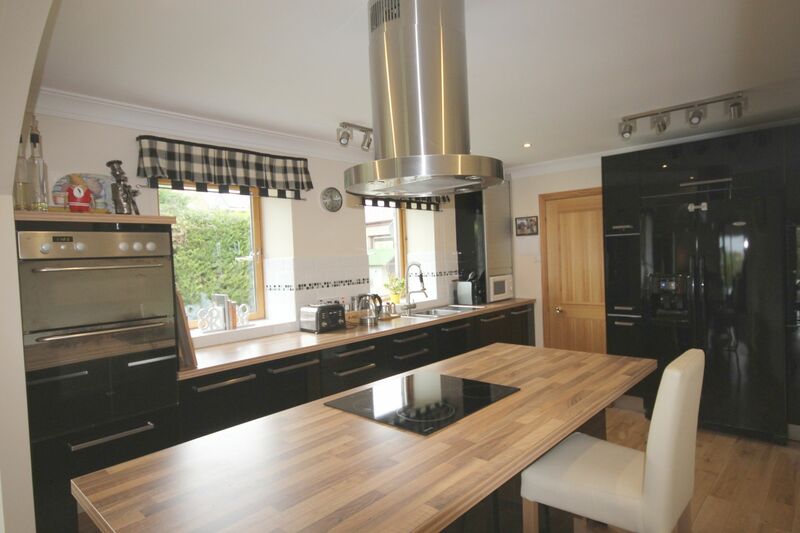 Feature breakfast bar island housing ceramic hob and ceiling extractor hood. Integrated appliances comprise dishwasher, fridge/ freezer and electric oven. Door to utility room and hall. Solid oak flooring. Utility Room : 9' 1" x 5' 6" (2.76m x 1.70m) The utility room is fitted with base and eye level black high gloss units with wood effect worktops and stainless steel sink. Full size shelved cupboard. External door to rear garden. 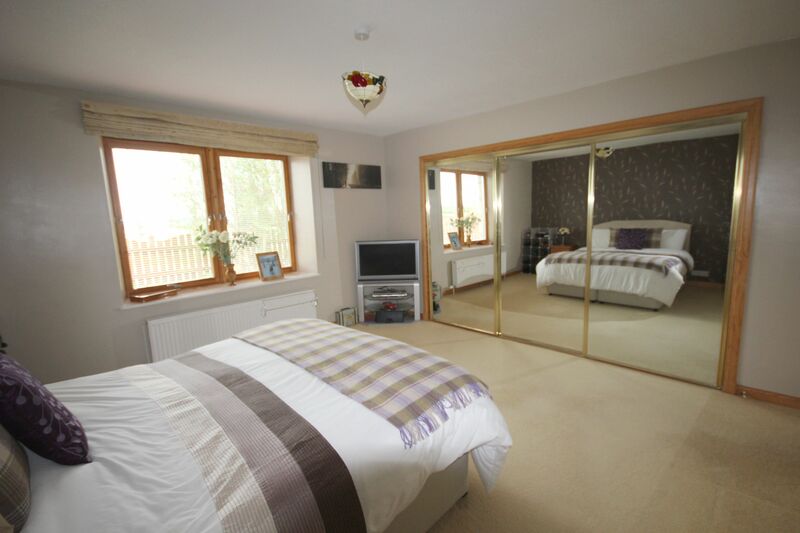 Master Bedroom : 13' 8" x 13' 7" (4.20m x 4.16m) The master bedroom is fitted with triple mirrored wardrobe doors. Space for free standing furniture. TV & telephone point. 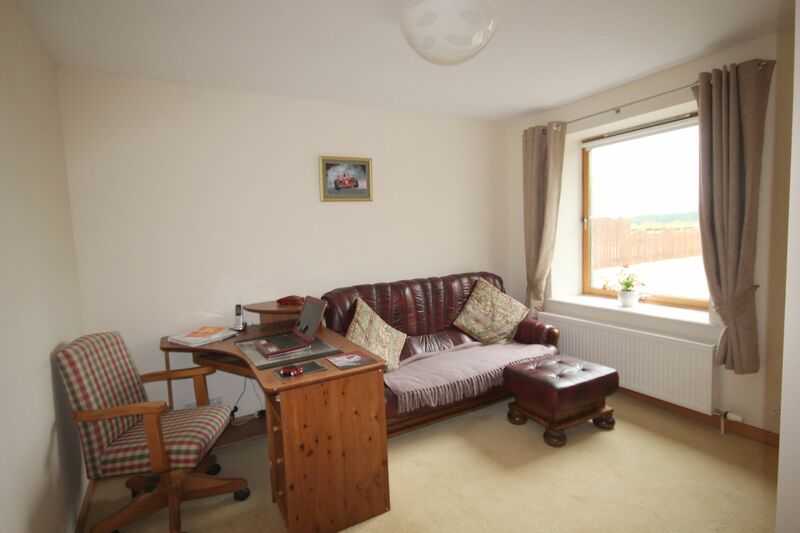 Fitted carpet and central heating radiator. En-Suite : 10' 4" x 5' 1" (3.16m x 1.55m) The en-suite is fitted with shower cubicle, WC and wash hand basin within a vanity unit. Wall units with mirror. Tiled walls to dado level. Tile effect laminate flooring and central heating radiator. 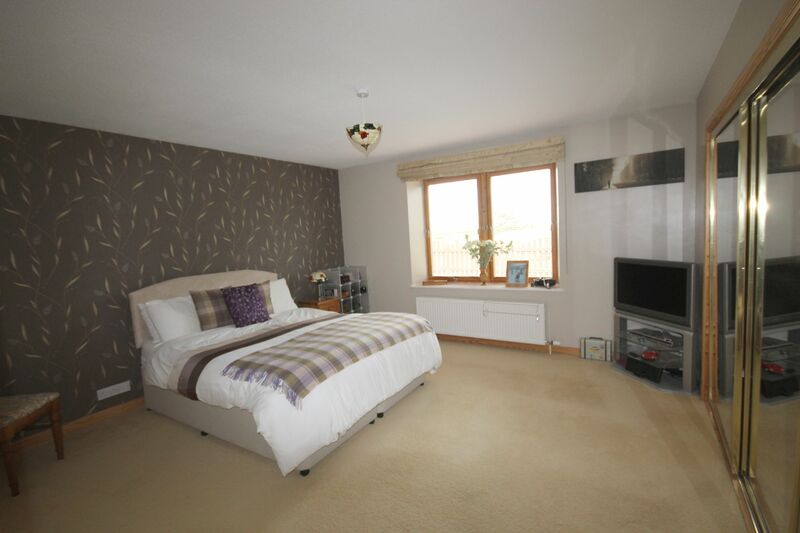 Bedroom 2 : 11' 8" x 11' 8" (3.59m x 3.59m) Double bedroom fitted with double wardrobes. Space for free standing furniture. Solid oak flooring and central heating radiator. 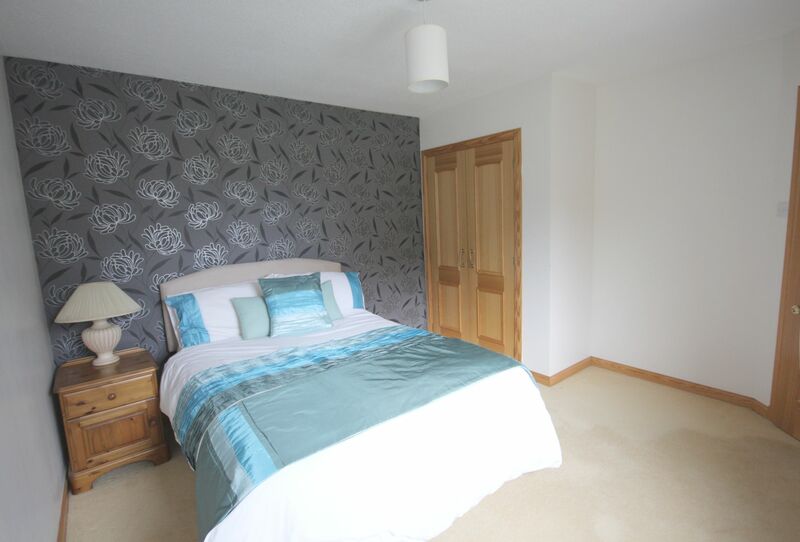 Bedroom 3 : 12'1" x 11' 6" (3.68m x 3.53m) Further double bedroom also fitted with double wardrobes. Space for free standing furniture. Fitted carpet and central heating radiator. Bedroom 4/Study :11' 6" x 11' 2" (3.53m x 3.40m) Bedroom 4 is presently being utilised as a study. It is also fitted with double wardrobes. Fitted carpet and central heating radiator. 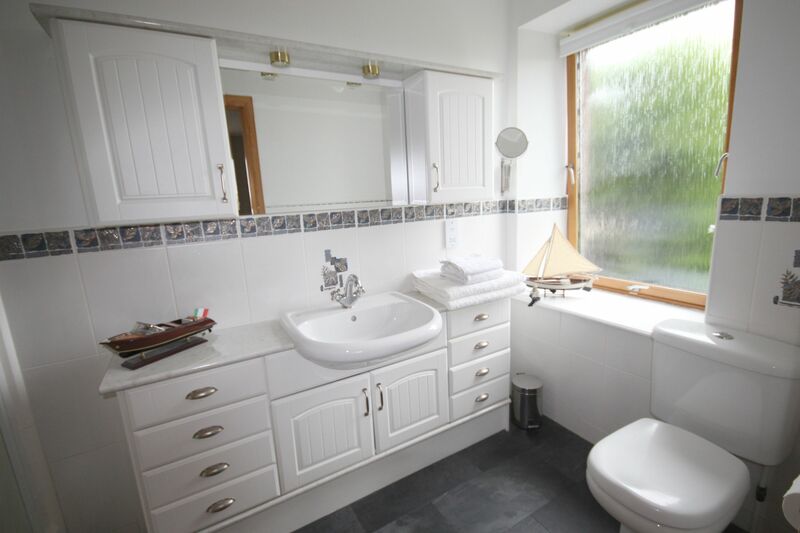 Family Bathroom : 8' 8" x 5' 10" (2.68m x 1.55m) The family bathroom is fitted with white sanitary ware comprising separate shower cubicle, bath, WC and wash hand basin within a vanity unit. Tiled walls to dado level. Tile effect laminate flooring and central heating radiator. 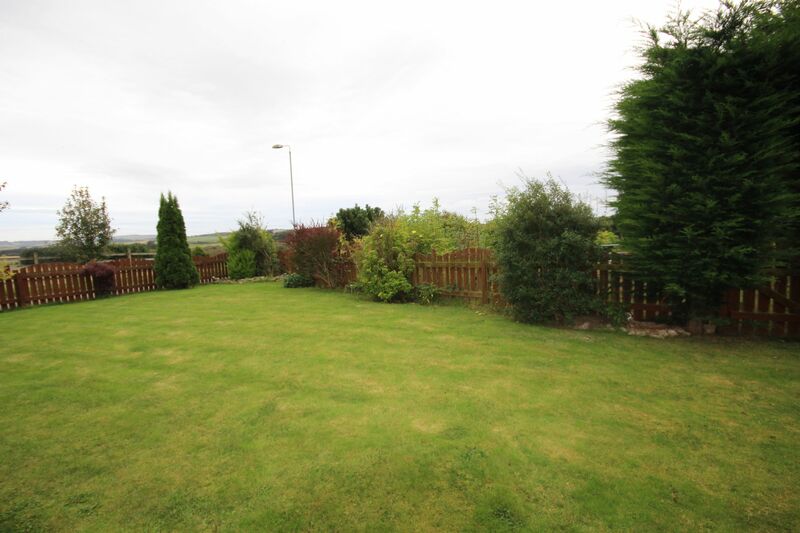 OUTSIDE : Garden grounds surround the property to the front, side and rear mainly laid in grass with trees and shrubs with panoramic views over the countryside. Please note the hot tub is included, although no guarantees can be given regarding the same. Lock block area providing parking for 3 cars at the front of the property with a further lock block drive leading to the double garage at the rear. The garage has power and light with an up and over electric door and floored mezzanine area. SERVICES : Mains electricity & water, drainage to a septic tank. Oil fired central heating with an Air Source Heat Pump. ITEMS INCLUDED : The usual heritable fixtures and fittings are included in the sale price. All floor coverings, light fittings, curtains and blinds will remain. 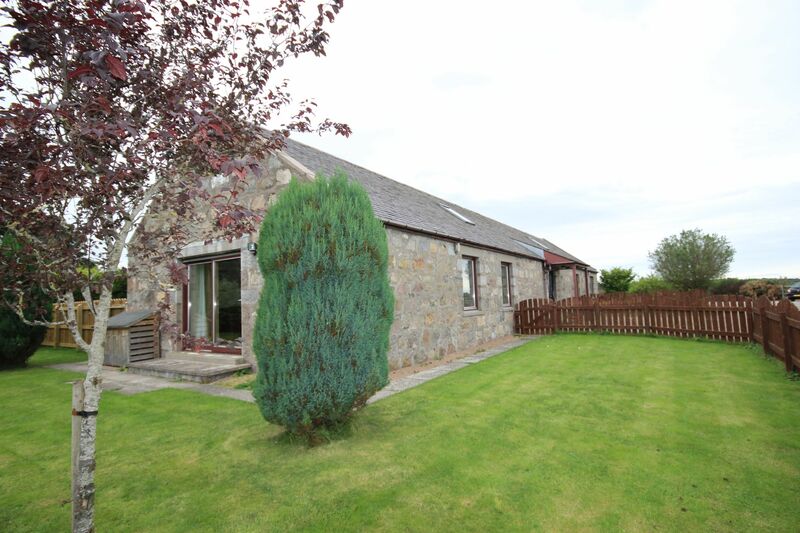 LOCATION : Leylodge is a small Hamlet close to the village of Kintore which is a popular commuter village located approximately 13 miles from Aberdeen and 4 miles from Inverurie. It is well served by a range of local amenities including local shops, post office, hotel, primary school and medical centre. 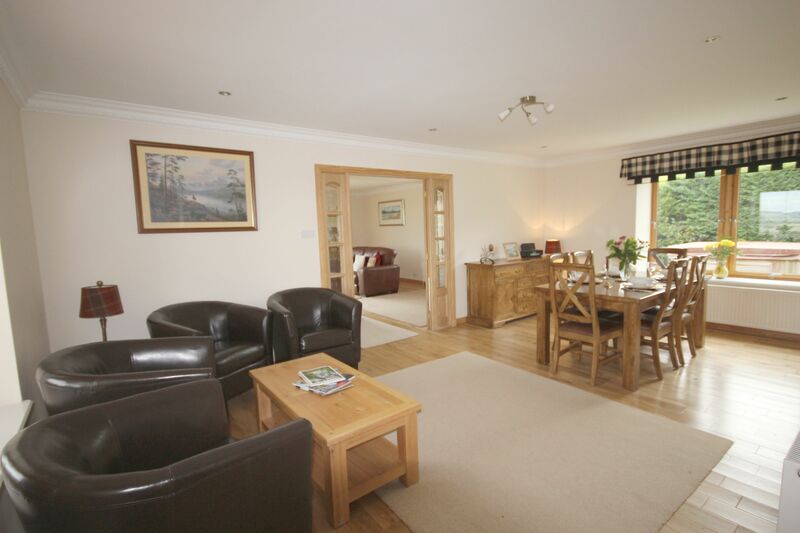 Outdoor activities include an 18 hole golf course, bowling green and fishing at the nearby River Don. 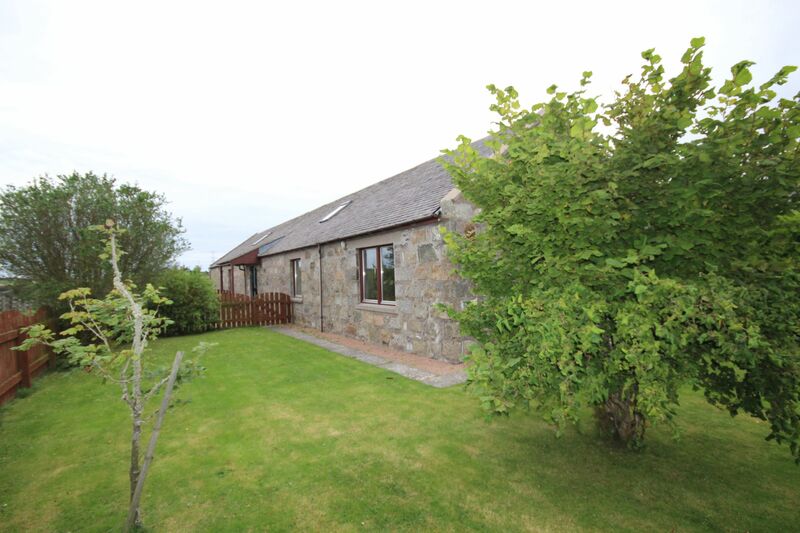 It is within easy commuting distance of the industrial estates at Westhill, Dyce and Bridge of Don as well as Aberdeen Airport. There is also a regular bus service linking Kintore to Aberdeen. DIRECTIONS : From Kintore take the B977 Dunecht Road. Follow this road for approximately 2 1/2 miles until your reach a sign on the right hand side for Lauchintilly. Continue along this road and vere right at the first fork, sign on Cairn for Tillybin Steadings. 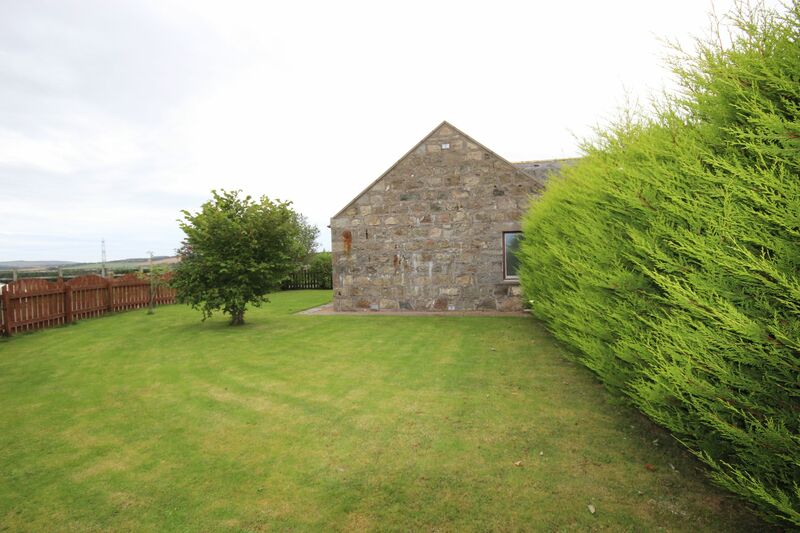 Continue along and take a right at the second fork and 1 Tillybin Steadings is the first Steading on the left hand side at the top of the hill.